Batman’s cinematic history has experienced highs (The Dark Knight) and lows (Batman v Superman), hilarious moments (Batman: The Movie) and some pretty forgettable ones (Batman and Robin). 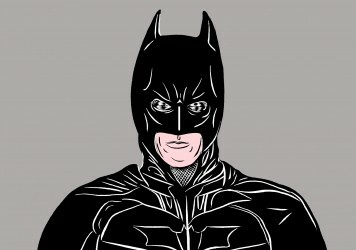 Fans are still split as to which is the most accurate incarnation of the Caped Crusader. Nestled amongst all these depictions is Batman: Mask of the Phantasm, a 76-minute animated movie from 1993 which contains the most accurate and nuanced portrayal of DC’s iconic antihero ever captured on screen. 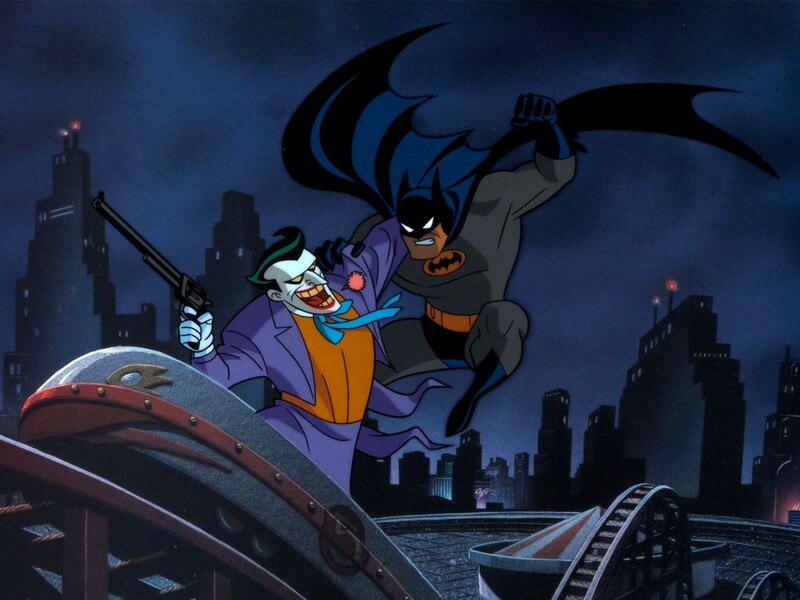 The film was a tie-in to the highly popular Batman: The Animated Series, the first season of which finished in September 1993 (Mask of Phantasm was released on Christmas Day that year). Warner Bros were so impressed with the success of the show they commissioned a feature-length film and assigned series directors Eric Radomski and Bruce Timm, plus writer Alan Burnett, to bring a new story to the pantheon of the Bat. What they did was something that had never been done in a superhero movie before, or since for that matter. They created a story that doesn’t rely on spectacular action sequences or the time-honoured formula of hero versus villain, but one that explores loss, grief and the desire to correct mistakes from the past. It’s the most human Batman has ever been. The plot sees the arrival of a new vigilante in Gotham known as the Phantasm, who is killing off mob bosses. Due to the figure’s dark, broad-shouldered look and stealth tactics, the crimes are immediately blamed on Batman. At the same time Batman’s alter ego, Bruce Wayne, learns that his former fiancée from his formative years, Andrea Beaumont, has returned to the city, giving the billionaire a chance to reconnect with his former love. Those familiar with the classic Batman cartoon will recall its distinct visual style, which fused Art Deco imagery with futuristic architecture turning Gotham into a spiralling and complex city. Hulking buildings and striking shadows help enhance the neo-noir tone of the film and allow it to resemble something closer to a crime thriller. Besides that, Batman is the key element here and while we can wax lyrical about the performances of Adam West, Michael Keaton and Christian Bale under the cowl, Kevin Conroy gives arguably the best ever performance in the role. His distinct voice brings a hushed masculinity to the character, which is still intimidating but also vulnerable. If Conroy is the best Batman than the best Joker award has to go to Mark Hamill. Luke Skywalker himself straddles the divide between the theatrical hilarity of Jack Nicholson’s Joker in Tim Burton 1989’s film and the sheer psychopathic menace of Heath Ledger’s Oscar-winning portrayal from 2008. There is an exasperated edge to his voice, which reverberates around every room he enters. Every line is delivered with the energy of an hyena and his trademark evil laugh has never sounded so much like a man enjoying himself. Whereas the Batman versus Joker tussle has arguably seen its potential exhausted on screen, the character’s inclusion here is minimal as he’s only introduced about halfway through. Yet Hamill’s exceptional performance makes every second of the Joker’s limited screen time vital and compelling, eventually culminating in some of the character’s finest moments. You can tell he executed the role with a smile on his face. Much like Christopher Nolan’s acclaimed trilogy, the inner conflict of Bruce Wayne is explored here to great effect. In flashback sequences we see how the younger Bruce first attempted to tackle crime in Gotham in a promise made to his murdered parents. Yet his true transformation into Batman doesn’t occur until his relationship with Andrea falls apart. We see how happy both Bruce and Andrea were together, despite the family tragedy that has befallen him. This relationship gave him another chance to live a simple life. As circumstance unceremoniously drives them apart, Bruce reluctantly transforms into the Batman persona out of sheer anger. Possibly the greatest scene in the movie sees Bruce kneeling at his parents grave and stating, “I didn’t count on being happy,” highlighting that his pledge to fight crime has become a burden upon his already troubled psyche. Despite all these positives, Mask of the Phantasm failed at the box office and only made its budget back via the home video market. But this shouldn’t take anything away from a film that stands on the same level as any of Nolan’s Batman films, delivering a tighter, more stylish and emotionally resonant story than anything the Dark Knight is likely to be treated to again. 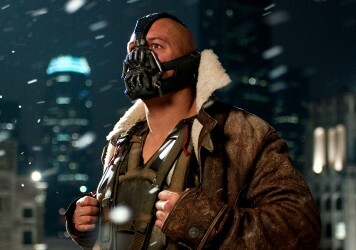 Christopher Nolan’s baroque opus is a worthy trilogy closer, both seriously epic and epically serious.